Morocco in an incredible destination with so many activities from exploring Marrakech, seeing incredible landscapes, relaxing on white sandy beaches to exploring the snow-capped Atlas mountains. 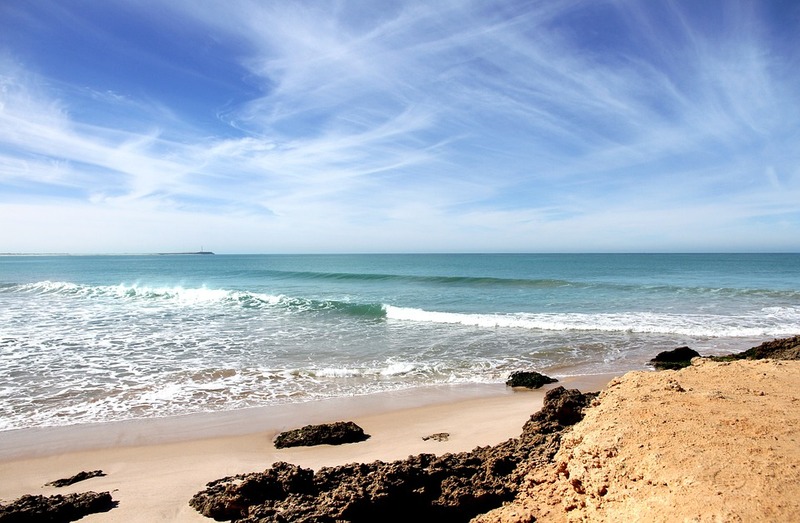 If you would like to travel, go backpacking or take a gap year in Morocco search trips and activities including group tours, volunteer programs, surfing lessons and yoga retreats. Find inspiration for the best things to do if you would like to book a holiday, travel, go backpacking or take a gap year in Morocco. 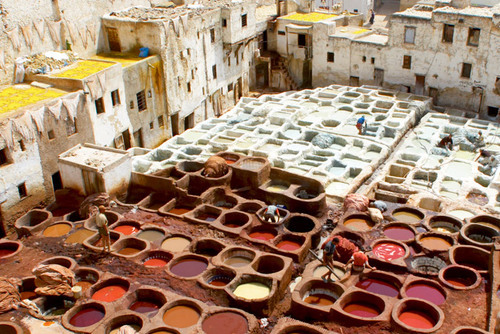 Get information, tips, itineraries and inspiration for visiting Morocco on our guide. Search trips, travel ideas including free. low cost things to do, gap year programs, volunteer work and tours and trips. 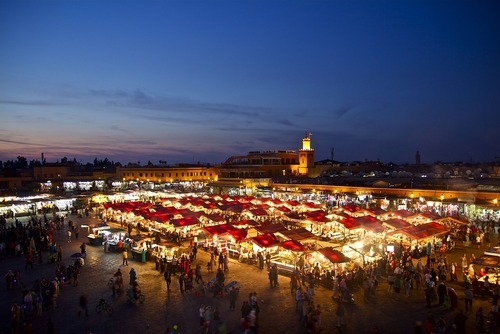 Morocco is a cultural destination with so many amazing activities and adventures. 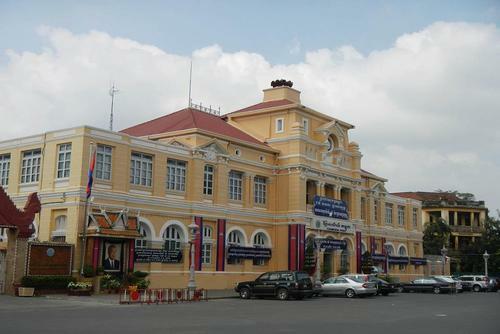 Throughout the country you will get a feel for the atmosphere, people and culture. You can go off the beaten track and explore places like the stunning Sahara which is amazing. Trips have departures throughout the year and will provide you with an authentic experience. Our featured packages in Morocco are run by the world leading international and local travel operators and you will get one of the best experiences of your life. With so many places you could visit and with the language barrier you might want to join a tour, this is a great way to meet new people if you are travelling solo. 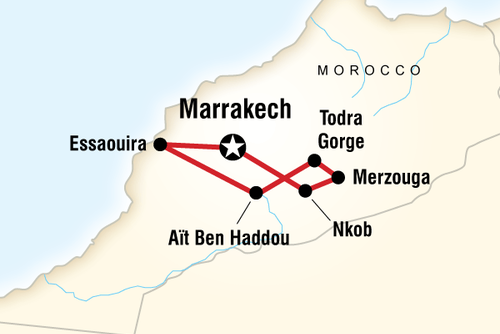 Morocco is a very easy country to reach, you can fly from a number of international airports, cross by ferry from Spain or cross a border with neighbouring countries. 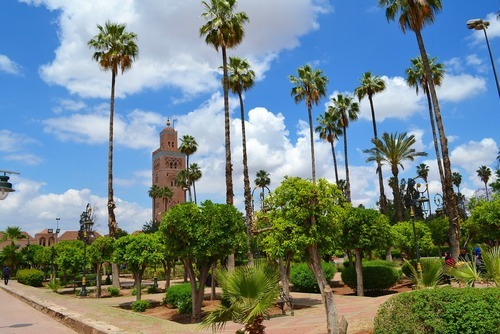 North Africa is a popular destination and if you live in Europe Morocco is fairly easy to get to, there are lots of low cost flight operators offer return tickets to Marrakesh for as low as £60. Check Easyjet, Ryan Air and British Airways. 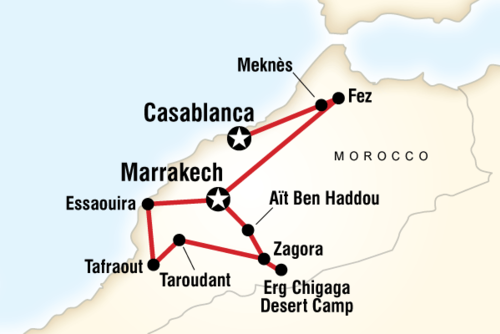 You can also cross into Morocco from Southern Spain or view our Africa gap year ideas. 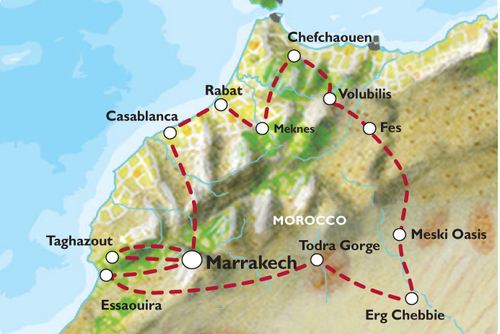 To enter Morocco you will need a valid passport with at least 6 months from the date of expiry. Sometimes you might be asked to show proof of funds and also a return plane ticket - these are usually rare to be asked though. If you have a US passport or are from an EU country (except Andorra, Hungary, Iceland, Malta and Switzerland) you will be able to get a tourist visa on arrival and there is no need to apply for a visa in advance. You can stay for a period up to 3 months and if you would like to stay longer you will need to collect an extention to your toruist visa known as a "Carte de Sejour". There are so many people you should consider adding to your Morocco travel itinerary including Chefchaouen, Marrakesh, Fez, Menknes, Merzouga, Ouarzazate, Tangier, Volubilis, Ait Ben Haddou, Dades Valley, Essaouira, Erg Chebbi, Agadir, The Atlas Mountains, The Sahara, Ait Benhaddou, Taghazoute and Volubilis. 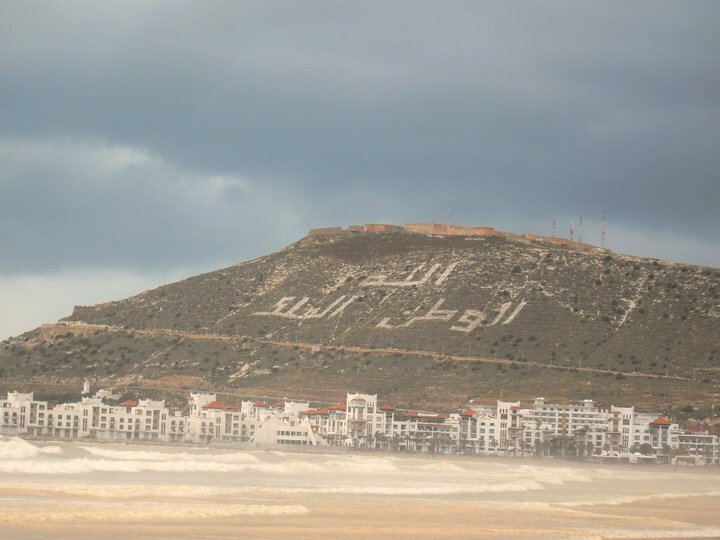 Budget: Morocco is a very cheap country to visit but there are still ways to save money. Try to book everything in advance - flights, accommodation and sightseeing activities. Avoid visiting during peak periods like summer. Safety: There have been isolated incidents in the past and also turmoil/conflict in neighboring countries but Morocco is a very popular tourist destination and tourism is highly regarded here. There is a highly visible police presence in most popular locations and checkpoints around the country which provide you with assurances about your safety. 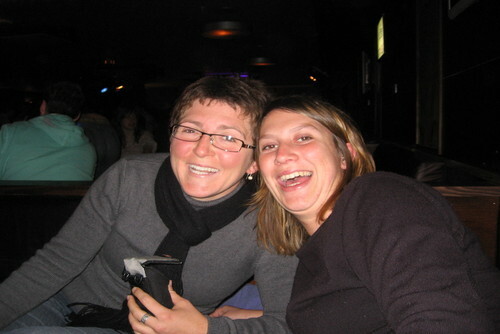 You should feel very comfortable in Morocco and local people are very used to seeing tourists. You might want to be on the look out for petty theft and at night always try to either let someone know where you are going or walk in group. There are no specific vaccinations required for Morocco, this is a less tropical threat than other African countries but you might want to get Hepatitis A/B, Typhoid and possibly Rabies. Food & Drink: Local food can be a shock to the system if you have never tried it before and some tourists get diarrhea, you might want to pack tablets like Imodium to be best prepared. Try to eat a lof of fruit and liquid drinks to stay hydrated when in Morocco. The tour companies we have listed offer amazing trips and are highly recommended and you can also find cheap deals throughout the year. You will also get taken off the beaten track checking in to places like Marrakech and Todra Gorge. Some trips will take you away from the crowds where you could take a camel trek in the Sahara Desert and camp overnight in a Berber Camp. Highlights include seeing the famous cities of Marrakech and Essaouira, going trekking and witnessing the spectacular Atlas mountains. Short day city tours in Morocco are popular, trips can include traveling overland on a small group trip which include adventure activities and options extras. Popular ideas include Fes cooking tours where you can learn to cook local tasty treats and sightseeing tours where you can explore ancient places, shop for presents in souqs and learn about the history of the country while exploring museums and local tourist attractions. With trips departing all year round you can search opportunities on our website and join tours throughout the year. 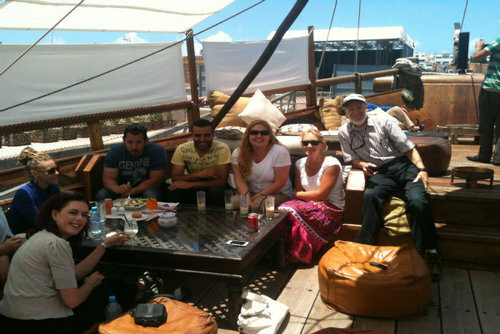 Are you wondering what are the best Morocco tour companies to book with are? On One World 365 you can search and compare small group, overland, adventure and budget trips from top rated tour operators including Contiki, G Adventures, Oasis Overland and Topdeck Travel. Thousands of people travel with these companies every year and they offer highly rated guided tours with good reviews. Most itineraries offer plenty of freedom and flexibility so the level of adventure is up to you! 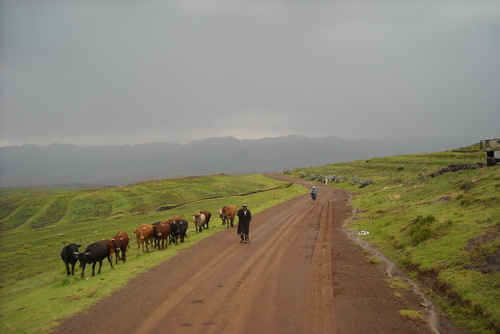 On most of the trips we promote (and also our Africa tours) you will travel in a small group of around 10-18 people. The companies we promote think the smaller the group, the better the experience. That's why on most trips numbers are limited. Traveling in such a small group is a bit like traveling with a group of friends -you just haven't met them yet. It also means you get to experience more of the local culture, something that's not always possible in a larger group or by yourself. 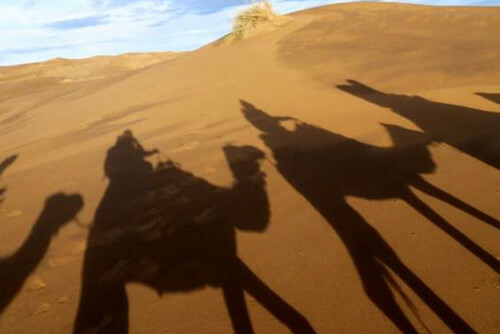 Get off the beaten track in Morocco on an exciting adventure tour in Morocco. 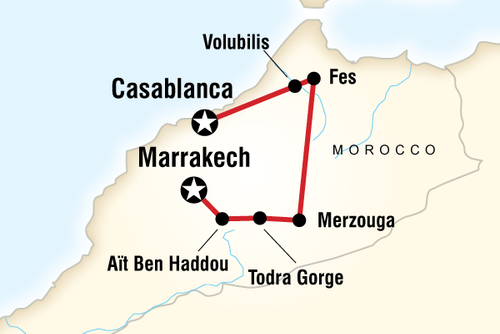 If you want to see more of Morocco and not just Marrakech then these types of tours are for you. 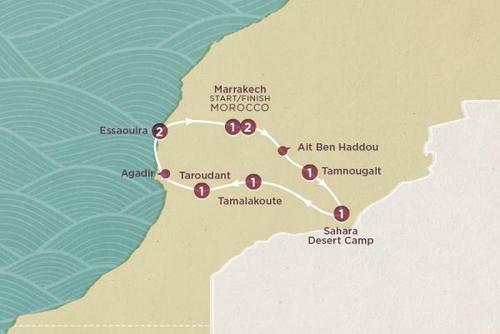 This will be the adventure of a lifetime going overland across Morocco, tours usually start and finish in the relaxed coastal city of Agadir or Ouarzazate and finish in Marrakech and inbetween you will visit Tamnougault, the Draa Valley & Zagora, Nkob, Boumaine-Dades and Ait Benhaddou. You will have regular stop offs so you will really get to see the local culture and tradition of the country. Thrilling adventures is the simplest way to describe these trips. As you'd expect, activity is the key. Though we're talking cycling, kayaking and walking rather than rock climbing or paragliding - we'll leave the extreme sports to the experts! Active trips offer real life experiences, combining a challenging day's hike, say, with a night's stay in a hilltribe village. You don't need to be super fit for all Active trips, but they're ideal if you want a physical challenge along with plenty of cultural interaction. To join these types of trips you will need a moderate level of fitness. 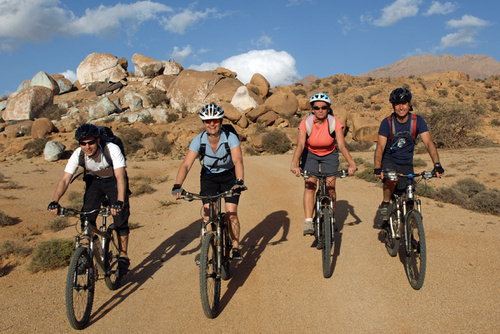 You can do activities like cycling through the beautiful landscapes of Morocco from Agadir through the Tafraoute region and along the coast. You will get to see Morocco from a different perspective and travel through spectacular locations like the Atlas mountains, the desert, gorges and lush palmeries. During these trips you will get to taste fresh home-cooked food and have plenty of time relax and take in your surroundings and see a different side to Morocco. You will also get to see remote Berber settlements and meet local people whilst riding past the spectacular Atlas mountains. 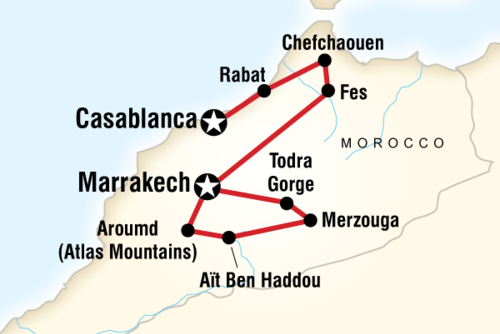 Most itineraries including visit Agadir, Tafraoute, Tiznit, Immouzer and Marakesh. Guaranteed departures: Because of small group sizes, companies are usually able to guarantee departures for almost all of our trips. Trips are generally run on a 'maximum number' basis, not a minimum. So unless minimum numbers are specified, once you have booked and paid your deposit, your trip is on! Your leader: Each tour is accompanied by a trained leader/driver who will be able to help, provide information on destinations and also arrange activities such as hikes, trail rides, cycling etc. Itineraries: The trips we feature allow for plenty of room for freedom and flexibility. Trips include the most important sightseeing points and highlights, but there is always room for a choice of activities and other sites along the way. This means that everybody really does have a say in what we do, which makes the way of traveling so interesting. With just the right amount of planning and organization, companies can avoid the kind of surprises that you might encounter if you traveled on your own. Utineraries have been carefully researched and planned by teams of knowledgeable and experienced travel professionals. 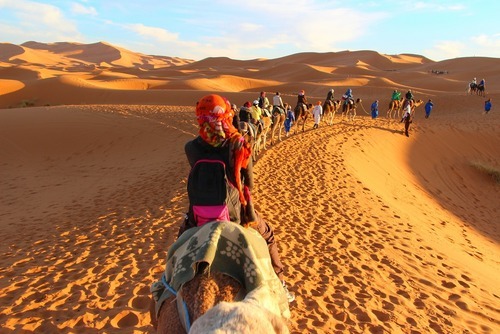 Find exciting gap year programs allowing individuals the opportunity to experience the wonders of Morocco, these are ideal for gap year people looking to experiment and get a flavour of the country for a short period of time. If you want to truly see the sights and sounds of authentic Morocco then our gap year programs are designed for you. 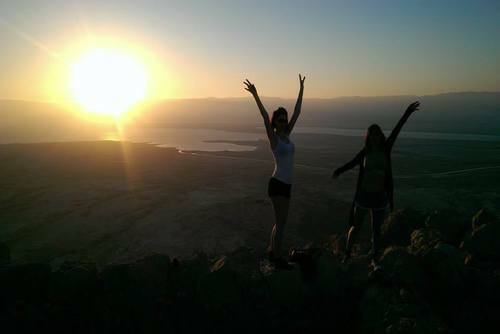 View programs where you can travel, learn, explore and have one of the best gap year experiences ever. Search gap year programs for students, graduates, career breaks and anyone seeking the experience of a lifetime. 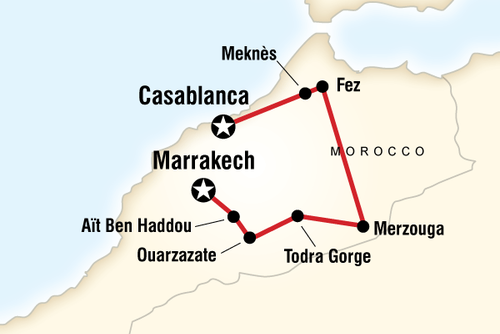 Morocco is a mere 3 hrs from the UK and the trips we have on our website are filled with excitement - designed to encapsulate the wonders of locations like Marrakech and Essaouira, offer breath taking views of the Atlas mountains, and experience the ways of the Berbers through community and cultural exchanges. There are cheap and budget options avilable and you can book ahead and join throughout the year. Morocco gap year adventures are open to individuals and groups of all ages, you can join for short term period (usually 2 weeks) or stay longer. Opportunities are flexible and if you contact us we should be able to tailor your requirements to a specific program. If you are looking for a different type of experience you can study Arabic in Morocco. 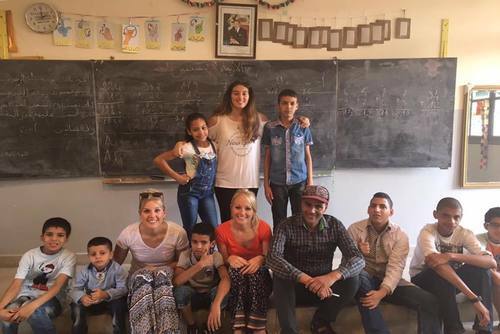 French and Tamazight language courses are also available whilst you can also join law and human rights internships here which is a great way to gain hands on work experience and get to live in a totally different culture. Places you can visit include Marakesh and the stunning Sahara desert which is spectacular! Also if you are looking for a special experience you can combine community initiatives with off the beaten track travel experiences. You can join a brand new exciting 10 day program allowing individuals the opportunity to experience the wonders of Morocco, this is ideal for people looking to experiment and get a flavour of the country for a short period of time. If the idea of working in Morocco and being more than just a tourist appeals to you our guide will help you arrange a placement. There are different people, cities, landscapes and food to experience here and you can work with a charity, volunteer organisation or local NGO to help Moroccan communities and infrastructure. Living and working in Morocco offers a unique experience where you can experience life in a new culture and do something meaningful. Some organisations give people the opportunity to leave their mark on the world through helping local people in Morocco. In turn, they are able to invest towards a social purpose, enabling projects and communities to evolve and develop. Some organisations are run as a social enterprise with a mission to inspire people to recognise their potential both at home, within their local community and in a wider, international context; empower them to achieve this and to evolve locally established projects and services to meet the needs of their communities. 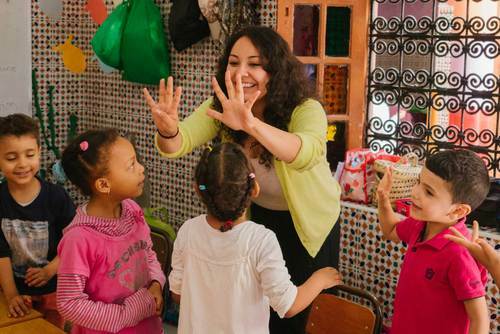 Some organisations also offer combo experiences like road trips that combine travelling rural Morroco with adventure and cultural activities like surfing or yoga whilst volunteering at small, local community projects along the way. These trips enable volunteers to get involved in rural community life therefore leaving Morocco with a real sense of the country, culture and people. Each trip includes a variety of volunteer work at different projects including agricultural projects, education based and community development. You might like to mix the experience and sign up for Arabic and French language classes. Some placements can be rustic and so if you are used to your home comforts and want a more Western experience you might want to go a little further North and volunteer in Spain. Around 15% of the population of Morocco live in poverty and rural communities are often the ones most in need and often don't get access to heatlhcare. There are placements for nurses, doctors and general assistants where you can work alongside local staff in outreach teams and clinics. Tasks can include helping with check ups and offering general assistance to patients. You could also work by helping train new staff or going into communities and schools and informing people about nutrition and healthy foods to eat. There is also a need for people to help promote conservation, recycling and sustainable living programs. 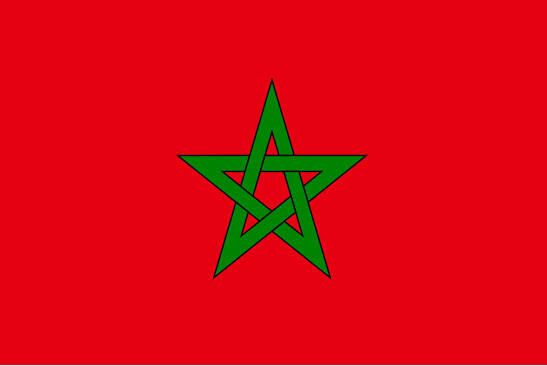 Morocco is a very tradition country, and like many places in Africa women are often seen as second class behind men. Women are often put of the fringes of society and there is a need to fill the gender divide and help women into education and employment. Over the past decade a lot of work has been done by charities and international organisations to help teach women new skills and offer an opportunity to do more with their lives. You can help train women with new skills - very rewarding. Accommodation: Volunteers usually stay in dorm-style house and shared apartments in the Medina within walking distance of the main square. There will be the use of a kitchen. Working Hours: This can depend on which project you join but usually you will work for around 5 hours per day and get two days off per week. You will need to be adaptable and flexible as no two days can be the same. Eligibility: Most organisations will require you to be aged 18 and over. Sometimes you might be working in hot and humid conditions so be prepared for this and pack light. Most volunteers arrive from the UK, USA, France and Spain but all Nationalities are welcome to apply. If you are from the UK or U.S.A. you will NOT need a get a visa before departing to volunteer in Morocco, on arrival you will be granted a tourist visa where you can stay for up to 90 days. You will usually be required to stay for a minimum of 1 week and you can apply all year round. There is no best time to apply but booking easy is recommended especially if you would like to join during summer. The price can depend on the program you select, most options come part of a package which includes placements, in-country support with an English speaking coordinator, airport pick-up/transfers, housing and meals. If you need any help arranging a volunteer placement in Morocco please get in touch. You might also like to search our Africa volunteering programs. If can be difficult to find free volunteer opportunities in Morocco because even small NGO's and charities will ask for a donation, or for you to cover the price of your accommodation and food. If you want to save money try to eat local food and avoid places set up for tourists, you will get food and drink for a fraction of the price if you go a little off the main squares too. Alcohol can be expensive and always try to barter for goods, this will be a challenge!